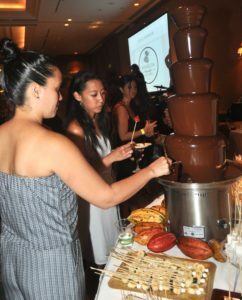 Proceeds totaling $27,000 from the 2018 Big Island Chocolate Festival (BICF) were awarded to five educational organizations, including $6000 to the University of Hawai‘i Maui College’s Culinary Arts Program. Monies will be used to fund student scholarships for the school’s baking segment. 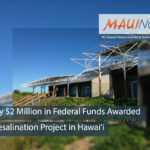 Other beneficiaries from Hawai‘i Island included Hawai‘i Institute of Pacific Agriculture, Kona Dance and Performing Arts, Waimea Country School and Kona Pacific Public Charter School. 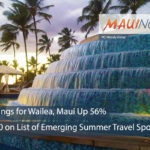 Beneficiaries will use their funds for a variety of projects: developing a cacao farming curriculum for the upcoming school year, enhancing the keiki gardening program, improving a mobile summer lunch program and completing a 1,000-foot facility expansion boasting a cushioned dance floor. 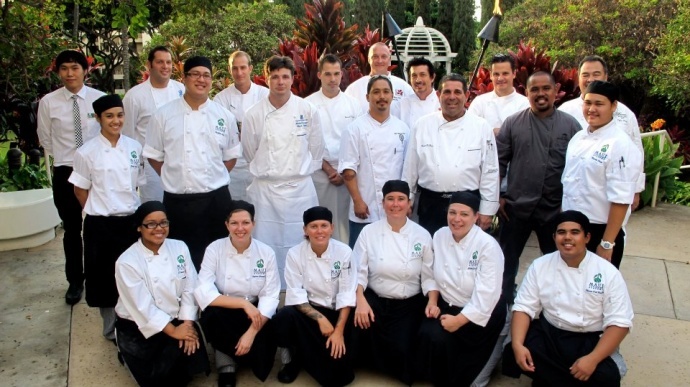 The mission of KCA is to promote the local cacao industry by presenting BICF as an educational and outreach opportunity for cacao farmers, the hospitality industry and cacao enthusiasts. KCA membership is open to anyone wanting to help create a recognizable brand for Hawai‘i Island chocolate. For more information, visit http://konacacaoassociation.com and www.bigislandchocolatefestival.com.